Farming might seem simple, but running a farming business requires hard work, dedication, and flexibility. That’s particularly true when it comes to figuring out your federal farm income taxes, which can be quite complicated to navigate. At Cook Martin Poulson, we work very closely with our farming clients to help them understand their accounting and tax obligations and minimize the amount they must pay. We recognize that the laws are complicated, and see our job as one of interpretation and guidance. With that in mind, here’s an overview of what you need to know as you prepare to file your federal farm income taxes this year. Who Must File Schedule F? You are in the business of farming if you cultivate, operate, or manage a farm for profit, either as owner or tenant. A farm includes livestock, dairy, poultry, fish, fruit, and truck farms. It also includes plantations, ranches, ranges and orchards. Proceeds from the sale of livestock, produce, grains, and any other products raised or bought for resale. Bartering of farm products that you raise for other farm products, property, labor, or personal items. Bartered items must be reported using their fair market value. Income from other sources, including agricultural program payments, Commodity Credit Corporation loans, cooperative distributions, crop insurance proceeds, federal crop disaster payments, and custom hire (machine work) income. In some cases, you may be able to claim depreciation for bartered machinery and livestock, provided that they are intended for business use and not for personal use. If you qualify as a hobby farmer, meaning that you raise produce or livestock for fun and personal use, you may still earn a bit of money by selling what you raise. As long as your primary goal is not profit, you can report that income on the first page of your Form 1040 under “Other Income.” You need not report produce and livestock that you raise for personal use. Ordinary expenses are expenses that are common and accepted in your business. These might include the purchase of seed, fertilizer, and other items. Necessary business expenses are expenses that are appropriate for the business. These might include unexpected expenses such as repairs. You may even deduct wages that you pay your children to do farm work, provided that the work falls into the preceding categories and you have a true employer-employee relationships. The Tax Cuts and Jobs Act of 2017 nearly doubled the amount that a child under the age of 18 may exempt from federal taxes. That means that if you do pay your children to work, they can put the money into a college savings fund or even a Roth IRA. Children who are 18 and over will be subject to Social Security and Medicare taxes. Identifying all of the appropriate deductibles for you can be tricky. The experts at Cook Martin Poulson can help you find every one that fits your particular situation and maximize potential savings. You should refer to the IRS rules about depreciation for the specifics of how to calculate it, or ask your accountant to help you. Of course, some of your deductible expenses may be partly personal and partly business. It’s very important to keep track of what you spend and allocate your expenses between business and personal use. Typical expenses in this category would include fuel, gasoline, oil, electricity, water, rent, telephone, automobile upkeep and repairs, insurance, interest, and taxes. As an example, imagine that you paid a total of $1,800 in electricity over the tax year. If you used one-third of that for personal use, powering your home, then you would have $600 that was not eligible as an expense and $1.200 that could be claimed as a farm business expense. You must keep careful records to document the business portion of your expenses. In the event of a tax audit, you will be required to produce proof that any expenses you have deducted are legitimate and related to your business. When you report your farming income, you’ll need to use Schedule F, which resembles a farm’s income statement. It’s important to understand how these two things correlate before you file your taxes. Your equity in the business. It’s essential for farmers and ranchers to understand their federal farm income taxes to avoid mistakes and penalties. The best way to minimize your tax payments is to work with an experienced accountant to complete your filing. 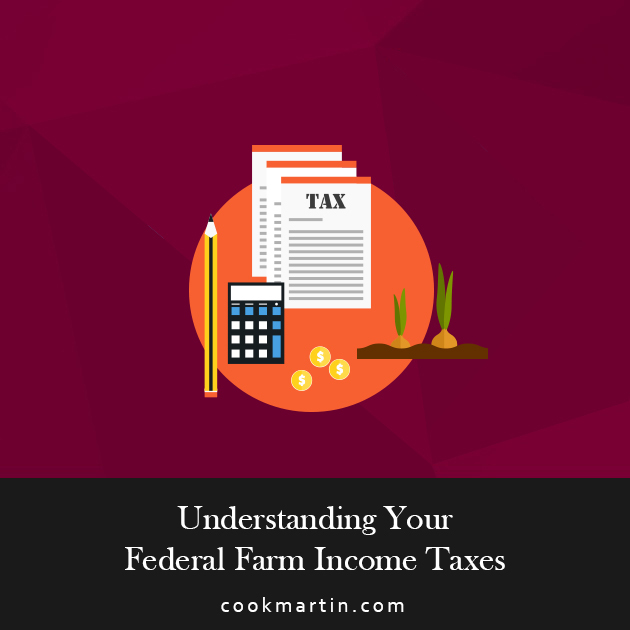 At Cook Martin Poulson, we have the experience and knowledge to guide you through figuring out your federal farm income taxes to minimize complications. 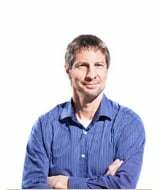 Reach out to Cook Martin Poulson to learn more about our farm and ranch accounting services.